Want your gift to give year-round pleasure with your Christmas gift? There's a London institution with a membership scheme to suit most tastes. Not only will you bring joy to the lucky recipient but also support the work of the organisation. We've selected some museums, galleries, theatre, film, music and arts memberships here that you can still buy from in person today, and in some cases tomorrow, but there are plenty more out there. Just think, what does your loved one love to do? 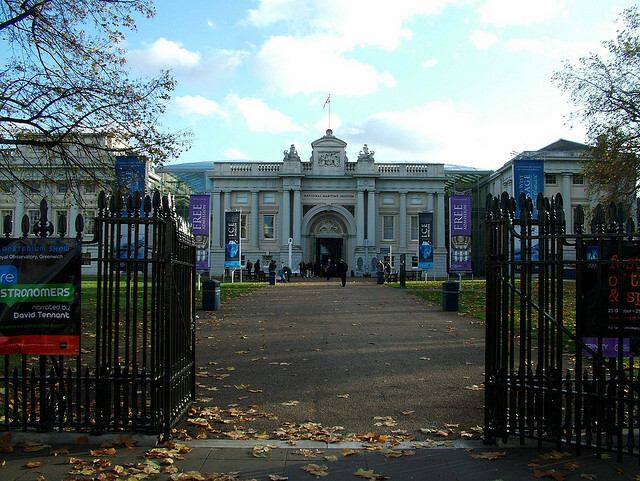 Most of London's excellent museums offer some kind of membership or Friends scheme but this year we're suggesting National Maritime Museum membership, as we've picked it as our museum/gallery of the year. It's part of the Royal Museums Greenwich and individual membership is £50 or £70 for Joint Membership. This grants you free access to special exhibitions (like Turner and the Sea), Cutty Sark, Planetarium, Flamsteed House and the Meridian Courtyard as well as invitations to private views, member events and discounts in the shop and cafe. Pop down there today to buy it (closed 24 December) or call/buy online. Tate membership is always popular but those members' rooms get very busy. Consider becoming a Friend of the Courtauld for £60 a year, giving unlimited entry to the gallery and its exhibitions plus previews, events & trips and discounts on shopping and eating (open today and tomorrow). Or try the Royal Academy which has recently opened The Keeper's House, which includes a restaurant, cocktail bar and garden. Friends of the RA can get access to the Keeper's House during the day, and also benefit from free entry to all exhibitions, the RA Magazine, talks and previews for £100 (one person) or £140 (two people at the same address). Buy it at the ticket desk today (closed 24 December) or buy online. There's plenty to choose for the cineaste's stocking. All of our selections for London's most atmospheric cinemas offer membership or supporter schemes. except the Electric, which offers gift vouchers. The British Film Institute offers BFI Cinema Membership for £45 which gives the holder priority booking, discounts on tickets and food and drink plus access to special events. For the arty, there's ICA Membership for £30 and for the west end film buff there's Lifetime Membership of the Prince Charles Cinema (including a super cool membership card, discounts and the occasional freebie) for just £50 (£10 annual) . Before the National Theatre's 50th anniversary year comes to a close, take out a membership for the theatre-loving person in your life. Advance Membership, which allows the holder to book before tickets go on sale to the public is just £15. Priority Membership is available from the National Theatre's Bookshop in a special gift box, allowing even more advance booking for the member, discounts and a the members' magazine. If you're really flush this Christmas, Supporting Cast membership at £500 gets all the advance booking benefits plus year-round access to the riverfront members' bar. Or if new writing, comedy and cabaret are more your bag, how about Soho Theatre gift membership for priority booking and late night drinking from £50 (£25 if you're under 26 years old). Southbank Centre's Full Membership seems rather a bargain at £65 as it includes access to their members bar with a view, free entry to all Hayward Gallery exhibitions, priority booking and discounts on shopping and food. You can go and get it from a ticket desk today or tomorrow if you want a physical thing for your recipient. Barbican Red Membership also allows you and a guest access to a members bar, free entry to the Art Gallery, private views, priority booking and discounts on cinema tickets, shops and refreshments for £100. Browse more London-themed Christmas gift suggestions.